With the line between classical and Bollywood music getting increasingly blurred, it us no wonder that stalwarts such as Ustad Amjad Khan are raising voices against comparison of the two genres. He is also justified in voicing his concern. 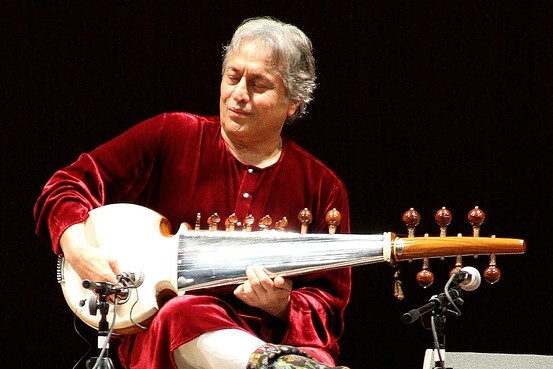 Sarod maestro Amjad Ali Khan says classical musicians are not entertainers like Hindi film industry people. “I think Bollywood music is entertainment music. They have cheap wording like ‘Hum Tum Ek Kamre Mein Band Ho’ and it works while classical music is different. We are not entertainers. Classical musicians are not entertainers, we take ahead the legacy of classical music,” Khan told PTI. The maestro feels when it comes to music, Bollywood it is a different world. “Their (Bollywood) vision and angle is different like whatever they do should be seen and saleable. Their values are different,” he added. At the same time, the 71-year-old musician says that Hindi films have churned out some good songs too. “There are some good songs with nice lyrics and music in Bollywood. I do like some film music, some of them I find appealing,” he said. “There are people who have grown up listening to Lata Mangeshkar, Mohammed Rafi and they were good. Today singers like Shreya Ghoshal, Sunidhi Chauhan are doing great work,” he added. Khan is excited about his performance in “Samaagam”, a concert combining Sarod and Orchestra. It will feature iconic works by Indian and American composers. Khan will be performing solo in the concerto for Sarod and Orchestra and Aaron Copland’s Appalachian Spring respectively. “‘Samaagam’ is a unique combination of Sarod and Orchestra. All over the world there is concept of orchestra be it France, England, America etc. In India we are not good in orchestra, we don’t have orchestra of national level. We are good in solo performances but we need to have orchestra culture in India. We do have orchestra in few places in India like Mumbai, Chennai etc,” he said. Khan thinks orchestra system in India should be encouraged. During the World Sight Day month (October), Music for Life International (MFLI) and HelpMeSee will present concerts in Mumbai (today) and Delhi (October 23) focusing on India’s leading role in the eradication of preventable cataract blindness globally. “I am supporting this cause as we are helping the blind people through this concert. There are millions of people who are suffering from cataract. Blind people live in the world of sound, sound is like God to them. We are just helping them,” Khan said.